A Dog Park is Fun, but is it Safe? Your dog is learning each and every waking minute and maybe even when it sleeps. It may well figure out a good spot to sleep without getting disturbed. Either way, your dog will waste no opportunity in learning something; it knows no other way. This leads to an important question… Who and what do you allow to teach your dog? Each day, I see dog owners allowing their dogs to run around in the local dog park with little or no knowledge of the past history, social skills, or even the names of the other dogs. 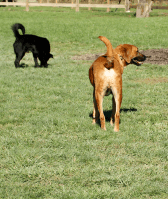 Even if these same dog owners don’t allow such reckless play, they will often stop when meeting up with another dog, and allow the dogs to mix, again with little or no knowledge of the other dog. I believe both of these acts can potentially be counter-productive and negatively affect the relationship between the dog and the owner. One risk of such unchecked encounters is physical injuries that may arise from a dog fight. Dog fights can flare up in seconds and result in physical damage which, aside from being very painful to your dog, can cost thousands of dollars to correct, and open up a whole world of potential legal implications. 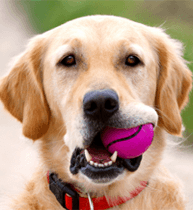 There is also the risk of long-term, if not permanent, behavioral changes to your dog or the other dog. Again, it takes seconds, and it can create very big problems. Your dog may, from that day forth, show signs of aggression towards all other dogs, or it may nervously shiver all the time. Dogs can be affected in so many ways. A trainer friend of mine once told me, “Give me fifteen minutes and a pound of liver, and I’ll make your dog forget you ever existed.” We like to think that our dogs will naturally gravitate towards us, but it’s not the case. There are quite literally millions of things that your dog would rather do than be with you, unless you are prepared to put a lot of ground work in to the relationship. Don’t believe me? Open your front door and see what the dog does. Chances are that your dog will dash out quicker than you can say sit. When you allow your dog to play with other dogs at a dog park, you open the door to a whole new world, but a world where you don’t play a significant part, and that’s the real danger. You will rarely be able to compete with other dogs in the ‘how much fun am I’ stakes. 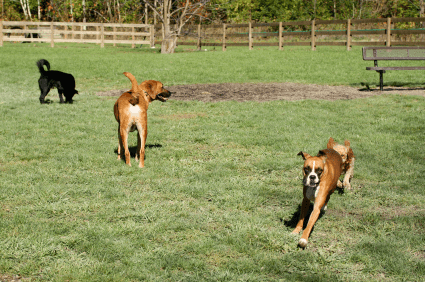 Why make it harder for yourself by allowing unchecked play with other dogs at a dog park? Do you think that bringing your dog to a dog park is safe? I know quite a lot of people who have bring their dog to a dog park regularly and say that it is great. But on the other hand I also know some people who have had their dog attacked at a dog park for no perceivable reasons. The other thing that bothers me about dog parks is people who bring their small children in and then let them wander around unsupervised. I have a border collie mix who is a little wary of small children, so I feel like I have to leave when the little kids are there, just to prevent a catastrophe. Users of the park are requested to control their dogs, but what about toddlers? but it is sad to not allow our dogs have fun, because we are less interesting than playing with other dogs. I suppose they need to socialize with other dogs not only people? Same with Chloe, a border collie. She isn’t great with young children, so when people bring there toddlers (even though the sign says no children under 10!!) we have to leave.